Conversations with St. Anthony . . .
1. A Conversation with Saint Anthony Mary Zaccaria on How to Overcome Irresoluteness in the Spiritual Life. 2. 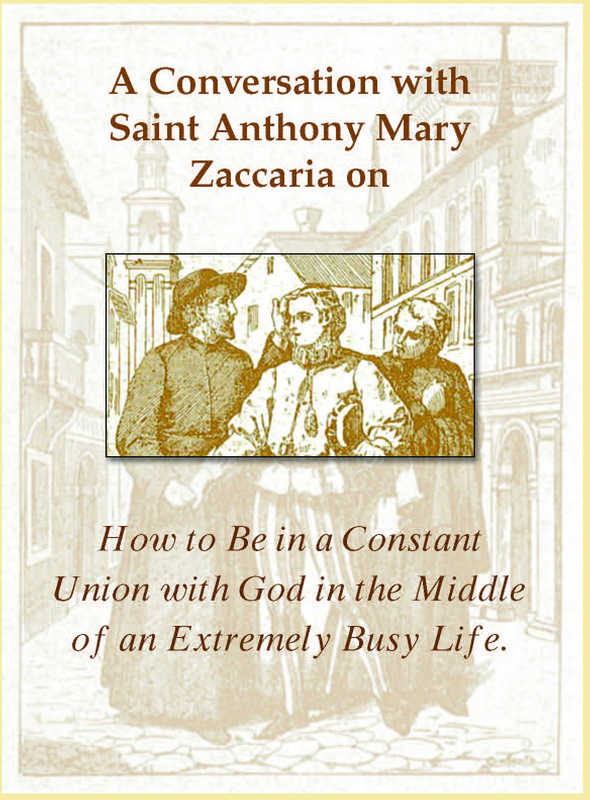 A Conversation with Saint Anthony Mary Zaccaria on How to Be in Constant Union with GOD in the Midst of an Extremely Busy Life. A Conversation with Saint Anthony Mary Zaccaria on How to Overcome Irresoluteness in the Spiritual Life. Father Anthony, I am grateful for this opportunity to speak with you. I wish to ask something which has been troubling me for quite a while. I hope you could enlighten me. See, I am a person who wants to live a good life. But often times I find myself doing wrong. There were times when I had the chance to do good, but I never did anything. What I really don’t understand is that deep inside there is this willingness to do an act of kindness. For example, but at the same time, there is also this feeling of hesitation. Sometimes I thought it might be that I am afraid that others might misunderstand me or ridicule me. But I guess it is something more than that. By wanting to do good is already a great good that you do. Yet you struggle with the thought that most often your desire to do good remains only a desire, and is not put into action. What causes your inaction comes mostly not from your fear of rejection, but from that inner truth that your spirit is also weak, changeable, and unstable. And thank God it is. It is true for you, and true for anybody, that God has made our spirit unstable and changeable. But it is in order that we will not abide in evildoing, and also that, once in possession of the good, we would not stop short, but would step up from one good to a higher one, and to a loftier one still. Thus, advancing from virtue to virtue, we might reach the summit of perfection. Hence, it flows that we are fickle in doing evil, namely, we cannot persevere in it because we do not find comfort or rest in it. Therefore, instead of persisting in evildoing, we move to do good; and moreover, since creatures do not give us peace, we return to God. I could give otherseparate reasons for our being fickle, but, for our purpose, what I have said is enough. Oh, how wretched we are though. For, when trying to do good, we use the very instability and indecisiveness we should have to exercise and to avoid evil. And, indeed, I am often bewildered at seeing such great irresoluteness reign in so many souls. Irresoluteness? How does it work in us? Irresoluteness hampers our progress because we find ourselves, as it were, between two magnets without being pulled by either. Namely, on the one hand, we neglect to do the present good as we look at the future one; on the other hand, we leave aside the future good by lingering on the present and even having doubts about the future. Moreover, irresoluteness causes us to change like the moon. Yes, like the irresolute person, we will always be restless and can never be content even amidst great joys; For no reason we get sad and angry and easily seek our own satisfaction. Indeed, I tell you, a whole year would not be enough to enumerate the evil results and the causes of irresoluteness. The truth is that if indecision, which we have been talking about, were the only evil, it would be itself more than enough; for, as long as we are in a state of doubt, we remain inactive. What is an irresolute person like then? Will an irresolute person accomplish anything? As long as he remains undecided and doubtful, he will surely never accomplish anything good. Experience teaches that. There is no need for me to go any further. How do we develop irresoluteness? In all truth, this weed of irresoluteness grows where divine light is lacking because the Holy Spirit quickly reaches the core of things rather than stop at the surface; one, instead, because he does not fathom the heart of things, is unable to decide what to do. What is the root cause of irresoluteness or this indecisiveness that permeates the soul? This indecisiveness is at one and the same time the cause and effect of lukewarmness. For the lukewarm person, when called upon to give advice on a subject, will give you plenty of reasons but will not decide which are the good ones. Thus, he will never tell you where to go or what to avoid. Consequently, if you were somewhat uncertain before, you are now left completely in doubt. He becomes eternally irresolute. On the other hand, the indecisive person loses fervor and becomes lukewarm. How do we get rid of irresoluteness? What would be the consequence if this evil weed continues to remain in us? If we do not take the proper measures against this evil weed, it will produce in us a pernicious effect, I mean negligence, which is totally contrary to God’s ways. Therefore, when we have something important to do, we must think it over and over and, as it were, ruminate upon it; but after such serious reflection and after having sought proper advice, we should not delay executing our project; for the primary requirement in God’s ways is expeditiousness and diligence. That’s why the prophet Micah says, "What does the Lord require of you but to do justice and to love kindness, and to walk eagerly with your God?" and Paul, "Sollicitudine non pigri" ("avoid with care all negligence"); and Peter, "satagite ut per bona opera ..." ("be prompt through good works..."). "Satagite" ("Be prompt to action") he says. You will find this sense of urgency commanded and praised in innumerable passages of the Scriptures. So what do you say about me? I have to tell you the truth: it is mainly this irresoluteness in your soul, besides, perhaps, some other shortcoming, that has caused in you this great and blamable negligence and sluggishness to the point that either you never start anything at all or at least you linger on it for so long that you never accomplish it. Consider closely those brothers, the children of a recently deceased father who, having heard Jesus’ counsel, "Let the dead bury their dead," right away followed Christ. And also Peter, James and John, once called, immediately followed Christ. And so, again and again, you will find that those who truly love Christ have always been fervent, diligent, and not sluggish. Take courage, and strive to root out these pernicious plants, this irresoluteness and negligence, if perchance they are actually present in your soul. Get rid of them; and run like a madman not only toward God but also toward your neighbors, who alone can be the recipients of what you cannot give to God, since He has no need of your goods. Imitate our Savior, who, by His obedience unto death stood up against irresoluteness and, to avoid being negligent, ran toward the cross regardless of its shame. Father Anthony, I thank you for your time and for sharing with me your thoughts. I now realize what actually is keeping me from doing good acts. It is this irresoluteness that pervades my soul. Pray for me then that I may be able to eradicate it, and so be more ready to do what just pleases the Lord. I surely will. May God, the Changeless One, ever ready to do whatever is good for you, save you and make you steadfast and determined in all your undertakings and desires. Bartolomeo Ferrari (1499–1544) and Giacomo Antonio Morigia (1497–1546) were two Milanese noblemen who, coming from different walks of life, joined Anthony Mary in establishing a new religious family, variously known as Sons of St. Paul, Clerics Regular of St. Paul, and Barnabites. At age two, Bartolomeo lost both parents and soon after an older brother. Fortunately, the adverse effect of these deaths was greatly alleviated by the loving care and ability of another brother, Basilio, his legal guardian. Surely, Basilio’s task was made easier by his brother’s sweet and gentle disposition. Moreover, Bartolomeo was temperamentally inclined to study and naturally responsive to the demands of Christian living. Basilio saw to it that his brother receive a good education. At eighteen, Bartolomeo went to the University of Pavia to study law. However, realizing that his Christian life could be jeopardized by the worldliness of the university milieu, he decided to interrupt his studies and returned to Milan only with a license of Notary Public. We know that he practiced this profession from 1521 to 1531. Under the direction of the Augustinian Giovanni Bellotti, the founder of the Eternal Wisdom Oratory, Bartolomeo embraced a strict ascetic life, and entered the service of the Church as a cleric; he taught catechism to children and was instrumental in reestablishing that teaching, long fallen in disuse, in several parishes. During the plague of 1524 and subsequent famine that afflicted Milan, he spent himself wholeheartedly in caring for the victims and without sparing his own considerable financial resources. Giacomo Antonio Morigia (1497–1546) too was left orphaned by his father, Simone, when a child. Unfortunately, his mother, Orsina Barzi, was only slightly interested in the religious, moral, and intellectual upbringing of her son. After a little schooling, Giacomo Antonio was quickly introduced by his fun-loving mother to Milan’s high society. Pretty soon horse riding, hunting, music and the theater became his chief occupations. Tall and handsome, he won the reputation of being the best dressed man in Milan and was known as “Morigia the elegant.” His popularity reached into the court of Francis Sforza. However, it became increasingly apparent that the dashing young man was not entirely attuned to his mother’s lifestyle. A definite streak of seriousness and independence, presumably inherited from his father, began to show. First, on his own, he studied mathematics and architecture for which he had a natural disposition. Second, no doubt to his mother’s chagrin, he declined the fat benefices attached to the Abbey of San Vittore al Corpo which his influential friends were offering to him. Instead he joined the Holy Crown Oratory whose main activity was the distribution of free medicines to the poor. At the age of twenty-five, the restless Giacomo Antonio was still searching for a direction in life. That year, in 1522, he met Father Giovanni Buono, a Benedictine of the San Pietro in Gessate Monastery. Giacomo Antonio was very impressed by the saintly old man. Undeterred by his mother’s displeasure and the remonstrances of his friends, Giacomo Antonio began turning toward a serious Christian life. Taking Father Buono’s advice, he eventually joined the Eternal Wisdom Oratory. These are the two men Anthony Mary met at this Oratory in the second half of 1531. With them he exchanged ideas about the urgent need of Christian renewal. In 1532 they petitioned the Holy See for the authorization to profess the three vows of obedience, chastity, and poverty before the Archbishop of Milan or his Vicar and to begin common life in the Diocese “in order to devote themselves more vigorously and unrestrictedly to God’s gracious purposes and to probe more deeply into matters pertaining to God.” As in the meantime his companions seemed to waver in their commitment, Anthony Mary addressed them this letter, which is a true declaration of war to irresoluteness and a clarion call to action from beginning to end. A Conversation with Saint Anthony Mary Zaccaria on How to Be in Constant Union with GOD in the Midst of an Extremely Busy Life. Father Anthony, I came to seek your advice on some spiritual setbacks. I am certain that you will be able to enlighten me on this since I know that you are regarded by many as one who is wise in spiritual matters. I sincerely want to grow in perfect charity, in holiness, but I find it difficult to achieve. The demands of my work and my family obligations find me rush through the day, making it impossible for me to ever have time for my spiritual life, for prayer. Each passing day I lose little by little my relationship with the Lord. Now I’ve started to experience this indescribable feeling of emptiness, permeating in my soul a sense that God is no longer present in my life. Father, what should I do to feel God’s closeness in my life again? How will I be able to pray despite my hectic schedule? My friend, it is my prayer that my words may be of great comfort to you, and may quiet down and console your anxious heart. Indeed your professional activity is quite binding, taking much of your time and energy. It is necessary that you choose a fitting method of prayer. I suggest that you practice these three exercises. Father, I’m anxious to know. What are they? First, give yourself to prayer in the morning and at night, as well as at any other hour within a set schedule or not, at any time, that is, day or night; in any position, that is, in bed or out of it, kneeling or sitting or as you think best; and most of all before you start your professional work, usually without any set order, for a short or a long time, as God may grant it to you. I have to tell you Father Anthony I’ve prayed all my life, but my prayers were those which I learned from when I was a child. Now I realize that those prayers are not enough if I want to be holy. If you strive for holiness they are certainly not enough. With the Lord, you can be simple, without following any format of prayer. With Him, you may discuss freely everything that may be happening to you, your doubts and your difficulties, anything especially those you find the hardest. Present to Him your reasons, thoroughly but as briefly as possible. Then, only propose to Him the solution you think is the right one or, even better ask for His opinion; for He will not refuse it if you gently insist. I can assure you that He will let Himself be compelled to give it to you, if, again, you really want to have it. Converse with Jesus Crucified as familiarly as you would with me; and discuss with Him all or just a few of your problems, according to the time at your disposal. Chat with Him and ask His advice on all your affairs, whatever they may be, whether spiritual or temporal, whether for yourself or for other people. If you practice this way of prayer, I can assure you that little by little you will derive from it both great spiritual profit and an ever-greater love relationship with Christ. If I understood it well, prayer is a dialogue with God. Father Anthony, do you say that praying in this way is worth more than taking explanations from books or from human wisdom for my uncertainties and doubts? I am indeed deeply convinced that we can learn more about human laws directly from the legislator than from anybody else, especially when that legislator is himself the rule and the pattern of all things, and knows how to explain and disentangle the deceptive reasoning of the devil. Indeed how much more thoroughly will he be able to unravel those of men? Needless to say, if one does not believe this truth, he believes still less that God takes such good care of us that He will not let a single hair of our heads be lost; and again, that He is so wise that He will show the wise of this world for what they are: fools and know-nothings. Well, then, if in favor of those who have recourse to Him God destroys all the crafty designs of modern men, who seem so intent in separating man from God, can you not imagine how He will disperse other less complicated plotting much more easily? And if, in a sense, one can unite himself to God, even in the midst of worldly distractions, how much more easily will he be able to unite himself to Him in circumstances more favorable to recollection? Now I see the value of learning from God about my concerns and life issues through prayer. Father, I do not mean to interrupt you, but you said there were three exercises to practice. You’ve already mentioned the first. What is the second? The second exercise, which will help you practice the first one and will obtain from God a greater abundance of grace, is the constant lifting up of the mind to God. You, my friend, cannot do without it; for the greater the danger and the more important the matter, a steadier application and sharper sight are required from you. Father Anthony, I have to say that I have difficulty concentrating during prayers. I often get distracted. What should I do to be able to keep my mind focused with God? How will I be able to unite myself with God even while at work? If you want to maintain your union with God and, at the same time, to go on working, talking, thinking, reading, and taking care of your affairs as usual, often lift up your mind to God for a long or a short period as, for example, someone would do while entertaining a friend. If he were unable to entertain him on account of pressing business as, for instance, keeping track of the goods which were to be shipped at that moment, he might tell him: "Will you excuse me if I don’t chat with you? I’ve this and that to do; but if you don’t mind waiting, as soon as I’m finished, we’ll talk at leisure." Then, interrupting his writing for a moment, he will occasionally turn his eyes and look at him; sometimes he will utter a word or two about what he is doing; at another time, while still writing, he will say: "In a short while, I’m almost finished." In these and similar ways, he will entertain his friend, though unable to talk at leisure with him. At the same time, he will not be distracted from his job by these gestures nor hindered in his work by such forms of entertainment. You, too, my friend, should act in this way, and your studies and works would suffer almost no disadvantage. Father, I consider myself a conscientious person, that is why I always want to please God by doing my obligations the best I can. How else will I be able to unite myself with God even while I accomplish my duties? Before starting your activities, offer Jesus a few words of your choosing; then during your work often lift up your mind to God. You will benefit much and there will be no detriment to your job. First and foremost, watch how anything concerning yourself or others is begun, whether foreseeable or not, whether at work or at play. Direct it first to God with any short prayer with which He may inspire you, mentally or also in words that express your thoughts and wishes or in some other manner; then, while working, thinking, or planning, frequently lift up your mind to God. Should your activity continue, break it up, perhaps, for the time it takes to say a "Hail Mary," or as it may seem convenient to you, always, of course, following God’s inspiration. Depending on the length of your activity, you can interrupt your work more than once. If you follow this practice, you will get used to praying easily and without detriment to your work or to your health; you will be praying incessantly, even while drinking, eating, acting, talking, studying, writing, etc. ; and the external actions will not hinder the interior ones and vice versa. It’s now clear to me that there’s really nothing that can hinder me from praying to God. I only have to dispose myself to Him at all times and in any circumstances. Indeed if you act otherwise, you will be a decent person but not the Christian Christ wishes, and has called, you to be. This will be clear to you if you consider closely the way by which Christ has been trying to bind you to Himself. I warn you and offer you the means to become such a Christian, if you really want to be one, so that you may not change your mind. If this were to happen, it would cause me very great pain indeed. My friend, if my words have any value in your eyes, I invite you, I entreat you, and I compel you in Christ and for Christ to open your eyes and consider well what I have said to you and try to practice it by deeds, not just by words. I can assure you that you will become a new person, such as you should be in view of the charge that God has placed and will continue to place on your shoulders in different ways. But, if you act otherwise, you will not fulfill your obligation toward God and your neighbor, and, far from being justified, you will be condemned as a transgressor. Try hard, then, to understand what I have just said, and apply yourself to practicing it. Father, didn’t you mention three exercises? Yes. Above all else, while observing the first exercise, keep the third one which I am about to tell you; otherwise all your works will be of little value and honor before Christ. Now, here is the third exercise. In your meditation, prayers, and thoughts, strive to pinpoint your principal defects, most of all, the chief one, the Captain-General, as it were, which dominates all the others. While concentrating on trying to kill that one, make every effort also to kill the other defects which may come under your attack, thus imitating the soldier who wants to kill the Commander-in-chief of the enemy who is in the middle of his army. Striving to reach him, the soldier keeps his eyes fixed on him as the target, but at the same time he fights his way toward him by killing the other enemies he may encounter. Do likewise with your defects. Father Anthony, I am so grateful for what you’ve just taught me. They are certainly wonderful insights on how I should pray. I will surely treasure them. 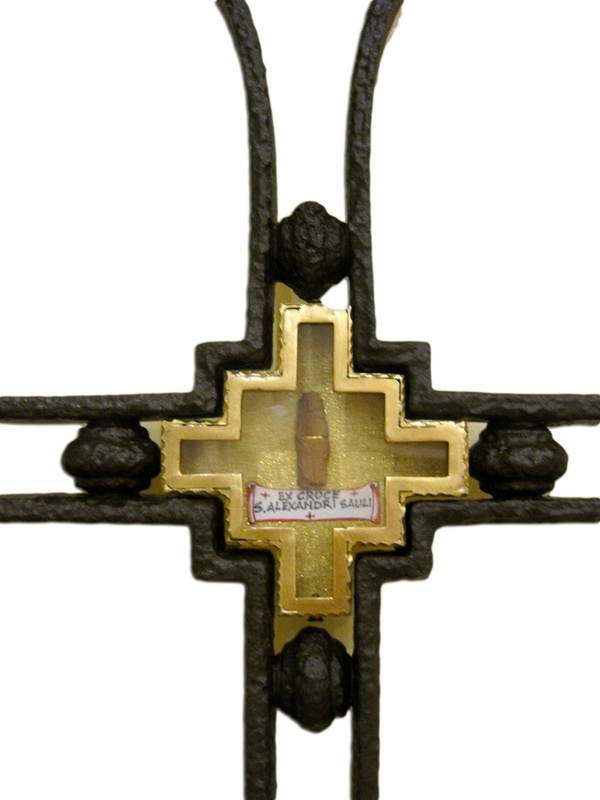 If you truly treasure the counsels that I have just given you, you will fall in love with Jesus Crucified quite easily. Any other way will keep you away from Him, a sad thing that I hate to see in you, for I love you and feel impelled to love you and see you forever in Christ Crucified. This Conversation is based on the third letter of St. Anthony Mary Zaccaria addressed to the honorable Mr. Carlo Magni, a most upright attorney known to him. The letter was written in Milan, Italy on July 28, 1531. 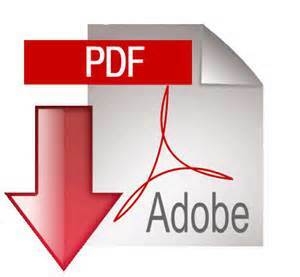 Carlo Magni, the fortunate addressee of this letter of spiritual direction, was a highly respected attorney in Cremona, as this letter somehow indicates and other sources confirm. Apparently, the successful attorney had become a lukewarm Christian. However, in the course of time he experienced a profound change of heart, as Anthony Mary seems to imply when he warns him, "if you act otherwise, you will be a decent person but not the Christian Christ wishes, and has called, you to be. This will be clear to you if you consider closely the way by which Christ has been trying to bind you to Himself." Whether or not he was a spiritual conquest of Anthony Mary, Carlo certainly became a member of the "Amicizia" (Friendship) Oratory established by Anthony Mary in Cremona. He was indeed one of its prominent members because Anthony Mary in this letter entrusts him with some tasks concerning activities of his "Amicizia" Oratory. Since 1527 Carlo was a member of Anthony Mary’s Third Family, the Laity of St. Paul. This letter is an answer to Carlo Magni’s request for guidance on how to live in union with God in the midst of a busy professional life. Like limpid water from a spring, the answer leaps out from the heart of a man of God who "was spirit through and through, and gifted with divine light for spiritual discernment." Anthony Mary teaches Carlo how to converse familiarly and incessantly with Jesus Crucified throughout the whole day. At the same time, he shows him how to utilize prayer as a source of self-knowledge for the elimination of his own shortcomings. To this purpose, Anthony Mary frankly names some of Carlo’s moral flaws, and identifies pride as the principal one. Two things stand out in this letter about Anthony Mary as spiritual director: the source and the style of his teaching. The source of his teaching is a lengthy prayerful time spent at the foot of Jesus Crucified, a practice common to other well-known spiritual masters, for instance, St. Thomas Aquinas. As for style, his teaching is characterized by an exceptionally warm personal concern for the spiritual welfare of his directees.